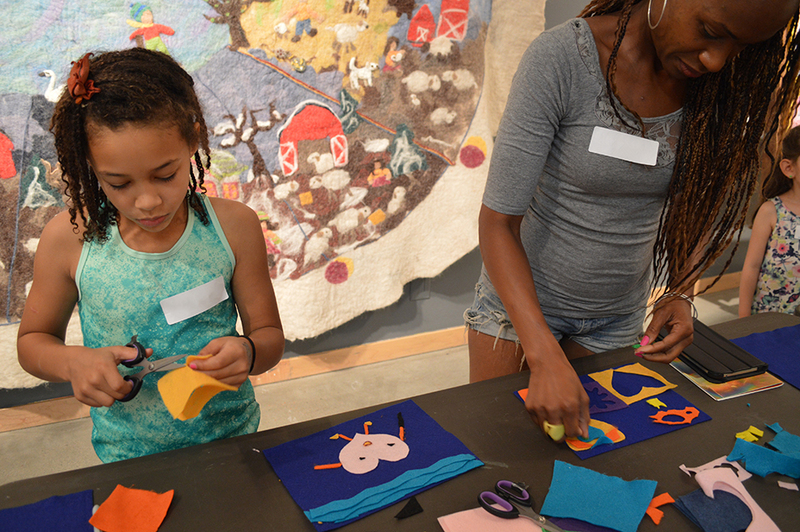 At the end of July, ArtStarts was pleased to present Infusion Teaching Artist Ewa Sniatycka for a stimulating workshops on fabric and storytelling at the ArtStarts Gallery and at River Market. Ewa got things started by talking to participants about all of the different shapes found in both of our built and our natural environments. Brainstorming about diverse shapes, everyone closed their eyes and imagined all sorts of forms: rectangles, circles, triangles, waves, hills and more... Next, curious participants got a real "feel" for shapes! Ewa encouraged everyone to keep their eyes closed and provided each participant with a felted form. At that moment, participants were challenged to use the tiny tips of their fingers to identify their different shapes. 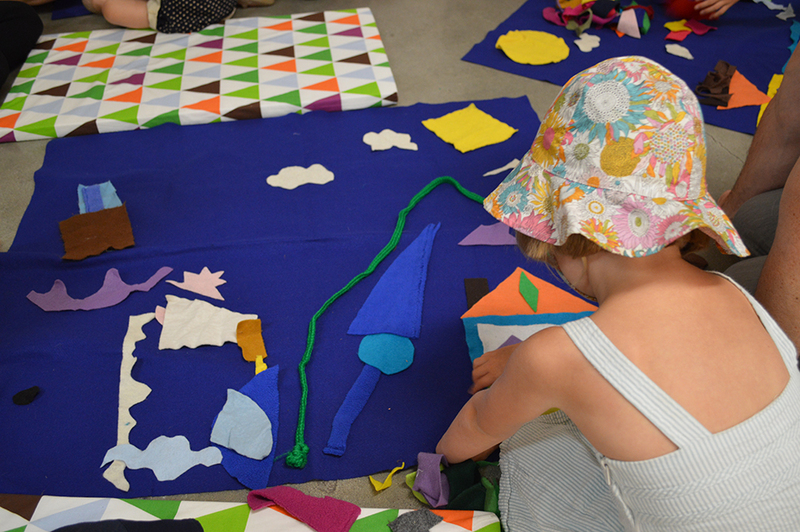 Then it was time to arrange all the felt shapes together by building a colourful picture story. One by one, participants brought their unique shapes and ideas together on a bright blue storyboard. There was a sea, a fire, a big sun, the mountains, trees, birds and even the Fraser River. 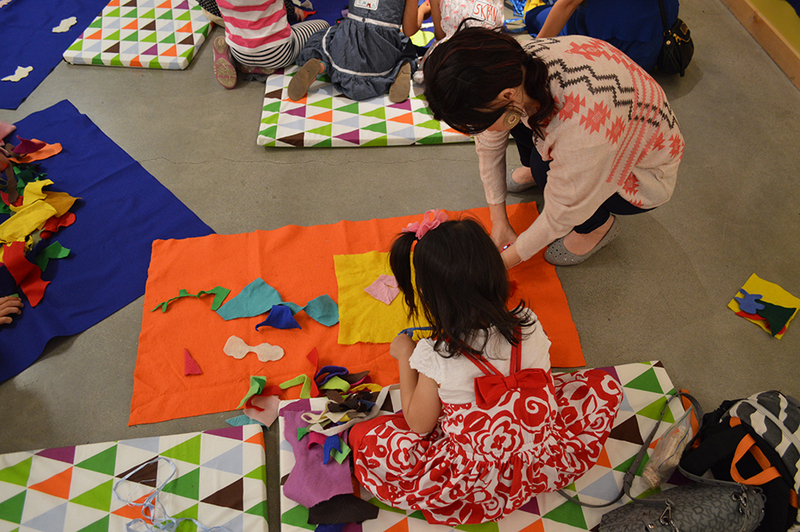 Together, participants created a story amazingly layered by their own ideas and shapes! 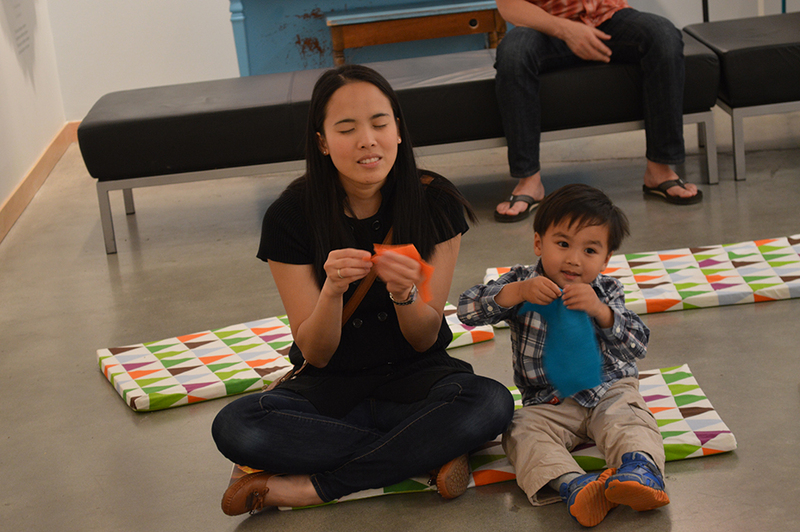 Using many brightly coloured felt pieces, ribbons and cloth, participants got started on their very own family stories. Ewa encouraged everyone to gather into groups and to reflect on memorable family events both in the past and present. 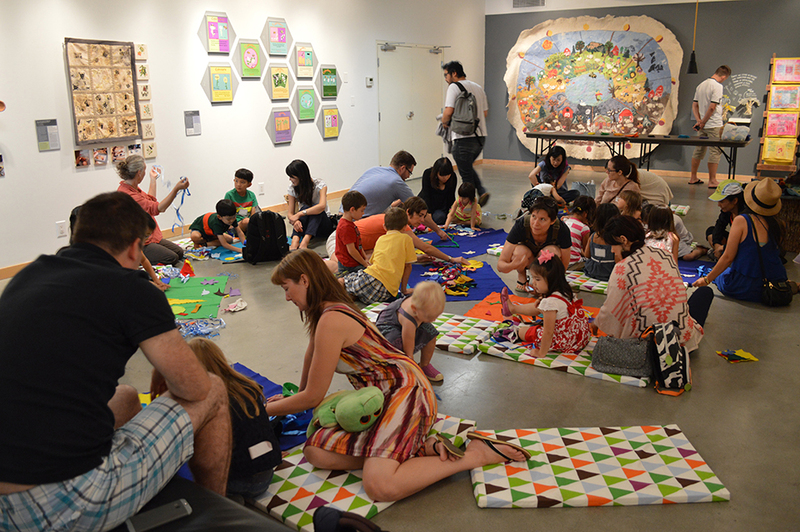 Friends, relatives, and community were very popular subjects for the bright felted stories. Busy artists worked away at finishing their stories with the help of their parents, grandparents and friends. Once finished, everyone took turns sharing their special story. One family shared their story of camping and roasting marshmallows by a fire, while another family shared a story about their special sailing adventure. All the stories were colourful and truly unique! To conclude the workshop, participants were encouraged to make their own story. 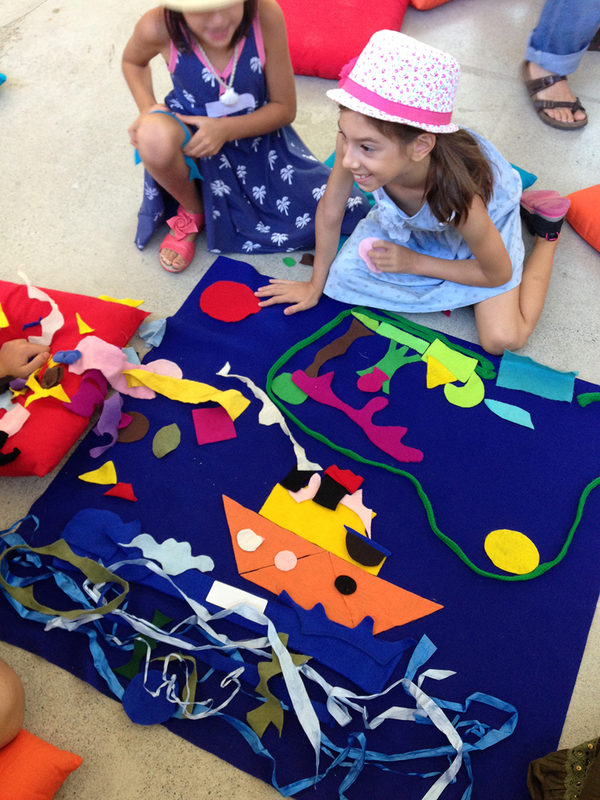 Cutting pieces of felt, everyone got creative and was inspired by the workshop to create personal stories. The best part is that children and families were able to take their individual stories home. Ewa encouraged participants to keep sharing special stories and to continue to observe all the different shapes around them. "Amazing program. Gave me ideas for home." 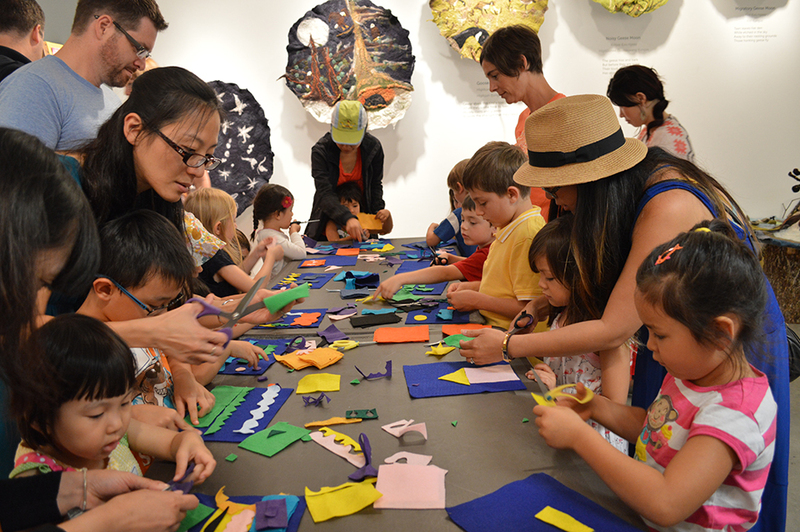 "It was wonderful to take part in this workshop — reminding us of simple crafts that are powerful tools for creativity. I attended with my daughter and granddaughter." "Awesome program. Thanks for the insight on storytelling/narrative." Thanks to Ewa for a wonderful workshop and for inspiring storytelling and creativity! 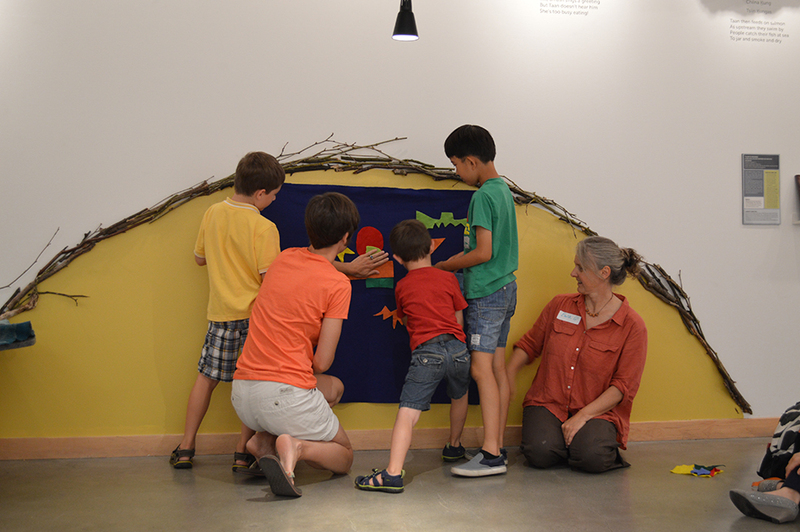 We hope to see you at our next workshops, Celebrating Seasonal Birds: Printmaking with Colette Lisoway. 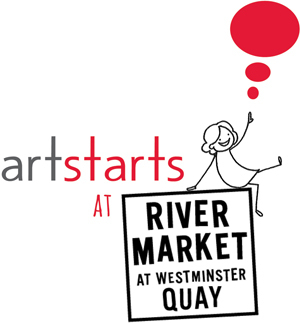 Join us at ArtStarts on Saturdays in Vancouver on Saturday, August 30 and at ArtStarts at River Market in New Westminster on Sunday, August 31. 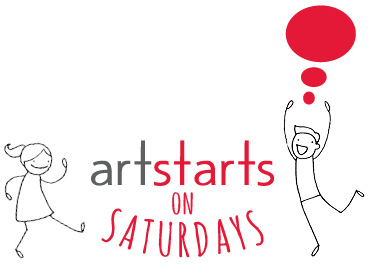 While at the ArtStarts Gallery, also be sure to check out the current exhibitions of young people's artwork: Timescapes: Local Connections and Natural Indicators of Time and This is Our Arctic.